Prize winning Lee Rowan is a contemporary realistic painter. She works both in oils and pastels. 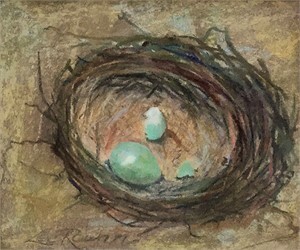 She is particularly known for her pastel renderings of eggs in their nests. 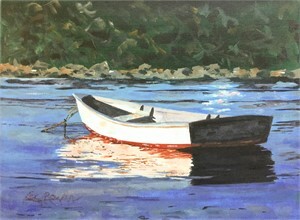 The majority of her work , however, is done in oils. Her art background began at Skidmore College where she received a B.S. in studio art. 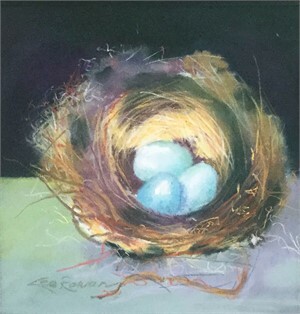 Over the years she has continued her studies with artists such as Jeanne Dobie, BettyLou Schlemm, T.Allen Lawson, Roberts Scott Jackson and most recently Carole Marine. She also teaches private students herself. 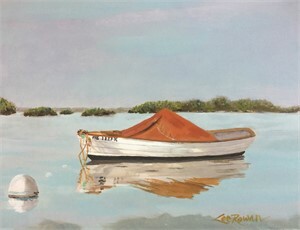 Her landscapes reflect the marshes of the North Shore in Massachusetts where her primary residence is though half of the year she resides on the coast of Maine, which provides marine landscapes and nautical subjects. No matter where she is her camera is always close by recording future subjects. 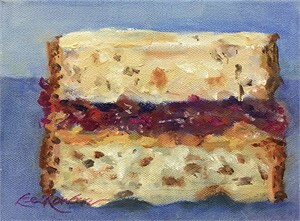 She has been represented in Galleries up and down the east coast of the USA as well as in Jackson Hole Wyoming. 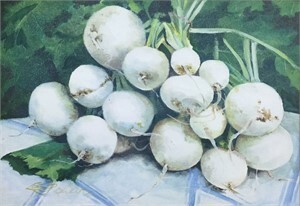 She is a member of a number of art associations and is particularly proud of being a member of one of the oldest art associations in the country, The North Shore Art Association in Gloucester Ma. Her work is found in private collections as well as the Lancaster Art Museum in Lancaster Pennsylvania and The Institution for Savings in Newburyport Massachusetts. Her career began as a needlepoint designer. 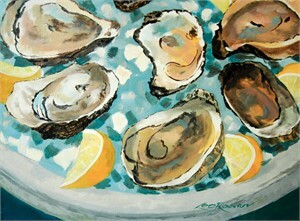 For a number of years her canvases were sold in select shops on the east coast and from the Bahamas to Aspen Colorado. Many of the floral canvases were inspirations for later paintings. She designed the needlepoint kneelers and other appointments for an Episcopal church in North Andover Massachusetts.